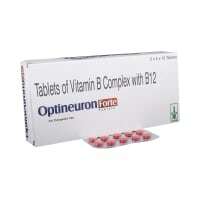 Lopez 2 mg Tablet is used in the treatment of short term anxiety. Take this medicine in the dose and duration as advised by your doctor. Swallow it as a whole. Do not chew, crush or break it. Lopez 2 mg Tablet may be taken with or without food, but it is better to take it at a fixed time. Lopez 2 mg Tablet is a benzodiazepine. 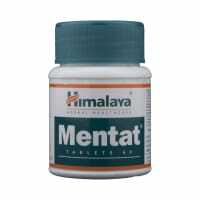 It works by increasing the action of a chemical messenger (GABA) which suppresses the abnormal and excessive activity of the nerve cells in the brain. Lopez 2 mg Tablet may cause excessive drowsiness with alcohol. Lopez 2 mg Tablet is unsafe to use during pregnancy. Lopez 2 mg Tablet is probably safe to use during lactation. Limited human data suggests that the drug does not represent a significant risk to the baby. Lopez 2 mg Tablet should be used for short periods and sleepiness of the baby should be watched. The withdrawal of Lopez 2 mg Tablet should be gradual. 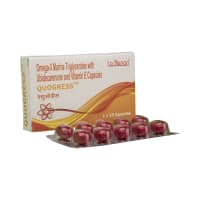 Lopez 2 mg Tablet may make you feel dizzy, sleepy, tired, or decrease alertness. If this happens, do not drive. Lopez 2 mg Tablet is safe to use in patients with kidney disease. No dose adjustment of Lopez 2 mg Tablet is recommended. However, inform your doctor if you have any underlying kidney disease. Lopez 2 mg Tablet should be used with caution in patients with liver disease. Dose adjustment of Lopez 2 mg Tablet may be needed. Please consult your doctor. Use of Lopez 2 mg Tablet is not recommended in patients with severe liver disease. What if you miss a dose of Lopez Tablet? If you miss a dose of Lopez 2 mg Tablet, take it as soon as possible. However, if it is almost time for your next dose, skip the missed dose and go back to your regular schedule. Do not double the dose. 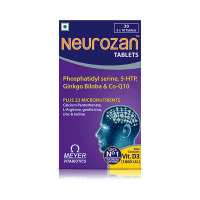 If you are taking Lopez 2 mg Tablet for the treatment of insomnia and anxiety, it should not be used more than 4 weeks. It may become less effective over the time. Avoid consuming alcohol when taking the Lopez 2 mg Tablet, as it may cause excessive sleepiness or drowsiness. The addiction / habit-forming potential of Lopez 2 mg Tablet is very high. Conversion Reactions are primarily due to anxiety. A child is unable to express the anxiety and symptoms are converted to physical symptoms. Treatment largely depends upon exploring the cause of anxiety, training the child to deal with it and antidepressants. Psychotherapy is very important. Serenace is an antipsychotic usually prescribed for psychotic symptoms. I AM UNDER DEPRESSION SINCE 17 YEARS AFTER THE BORN OF MY SON, TAKING OXITOL 300, LOPEZ 2, AND DEPRAN-H TWICE DAILY SINCE ONE YEAR, GAINING WEIGHT CONTINUE NOW 76 KG. WHAT SHOULD I DO TO REDUCE MY WEIGHT, I ALSO THINK THAT ALL MY FAMILY MEMBERS ARE IGNORING ME AND I WANT TO EARN FOR MY SELF AND WANT TO LIVE ALONE WITHOUT MY FAMILY WHEREAS MY FAMILY MEMBERS ARE NOT ALLOWED THE SAME. I HAVE TRIED TO LEAVE HOME MANY TIMES BUT THEY SEARCH ME ALL TIMES. WHAT SHOULD I DO? Based on your clinical history, your doctor plans the type of medicine and it's dose and duration. For first episode of anxiety/ depression/ panic, the usual maintenance phase is 6 months of asymptomatic period, after which medicines can be gradually tapered. But treatment may need to continue longer depending on severity and frequency of episodes. Treatment for Recurrent Depressive Disorder , psychotic disorders, Bipolar Affective Disorder and OCD usually lasts for much longer.To monitor any potential side effects and to take any decision to change medication or stop them, several factors have to be taken in account for which regular follow up with your psychiatrist is important. For second opinion, seek a proper consultation with another psychiatrist and take along your previous prescriptions.You can start psychotherapy/counselling sessions with a psychiatrist/psychologist to find answers to your psychosocial issues. Lopez is only a sleeping pill and can induce paradoxical reactions in children. He may respond better to a stimulant drug like methylphenidate or a mood stabilizer. Please discuss the same with your psychiatrist. Treatment for erectile dysfunction: 1.stop smoking and alcohol 2.join a gym and reduce weight. Do weight lifting exercises. 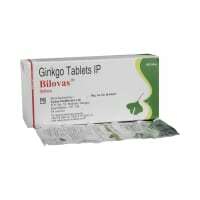 3.tablet sildenafil or viagra 1 tablet 1 hour before sexual activity. 4.Get tested so that u don?t have any of the following causes: 1.heart diseases 2. diabetes 3.neurological problems 4.hormonal problems 5.drug side effectsrate me 5 stars on my profile if u r pleased. thank you. Do you have any questions related to Lopez 2 mg Tablet? What are you using Lopez Tablet for? Q. Is Lopez addictive or habit forming or narcotic? Q. Is Lopez the same as Xanax (alprazolam) or Valium (diazepam)? Q. Is Lopez a muscle relaxer? Q. Is Lopez a beta blocker or SSRI? Q. Can I take Lopez for a long time or can I take Lopez forever or how long can I take Lopez or can you take Lopez for years? Q. Can I take Lopez for pain? Q. Can you take Lopez for anxiety? Q. Can I take lorazepam with melatonin/ Zoloft (sertraline)/ tramadol/ Suboxone (buprenorphine and naloxone)/ Advil (ibuprofen)/ Ambien (Zolpidem)/ Wellbutrin (bupropion)/ Tylenol (paracetamol)? Q. Can I take Lopez with prednisone? Q. Does Lopez get you high? Q. Does Lopez lower blood pressure? Q. Does Lopez make you sleepy? Q. Does Lopez cause erectile dysfunction? Lopez can interfere with sexual function and very rarely causes erectile dysfunction (i.e. inability to achieve erection). Stahl SM, editor. Lorazepam. In: Stahl's Essential Pschopharmacology: Prescriber's Guide. 5th ed. New York, New York: Cambridge University Press; 2014. pp. 367-71. Briggs GG, Freeman RK, editors. A Reference Guide to Fetal and Neonatal Risk: Drugs in Pregnancy and Lactation. 10th ed. Philadelphia, PA: Wolters Kluwer Health; 2015. pp. 819-20.